American pianist Simone Dinnerstein is a searching and inventive artist who is motivated by a desire to find the musical core of every work she approaches. The Independent praises the “majestic originality of her vision” and NPR reports, “She compels the listener to follow her in a journey of discovery filled with unscheduled detours . . . She’s actively listening to every note she plays, and the result is a wonderfully expressive interpretation.” The New York-based pianist gained an international following because of the remarkable success of her recording of Bach's Goldberg Variations, which she raised the funds to record. Released in 2007 on Telarc, it ranked No. 1 on the US Billboard Classical Chart in its first week of sales and was named to many "Best of 2007" lists including those of The New York Times, The Los Angeles Times, and The New Yorker. 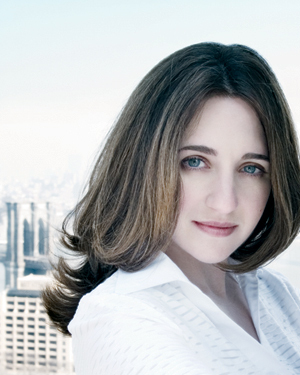 The three albums Ms. Dinnerstein has released since then – The Berlin Concert (Telarc), Bach: A Strange Beauty (Sony), and Something Almost Being Said (Sony) – have also topped the classical charts, with Bach: A Strange Beauty making the Billboard Top 200, which compiles the entire music industry's sales of albums in all genres. Ms. Dinnerstein was the bestselling instrumentalist of 2011 on the U.S. Billboard Classical Chart and was included in NPR's 2011 100 Favorite Songs from all genres. 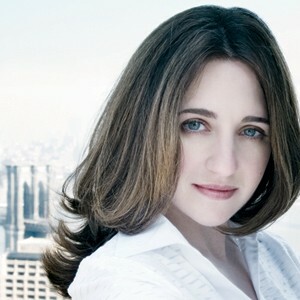 Other highlights of the current season include Ms. Dinnerstein’s debuts in Sydney and Melbourne, Australia; her debuts in Leipzig at the Gewandhaus and in Toulouse as part of the Piano aux Jacobins festival; the world premiere of Nico Muhly’s You Can’t Get There From Here at Symphony Hall in Boston; and her third return engagement at the Berlin Philharmonie. Ms. Dinnerstein's performance schedule has taken her around the world since her triumphant New York recital debut at Carnegie Hall's Weill Recital Hall in 2005 to venues including the Kennedy Center for the Performing Arts, Vienna Konzerthaus, Berlin Philharmonie, Metropolitan Museum of Art, and London's Wigmore Hall; festivals that include the Lincoln Center Mostly Mozart Festival, the Aspen, Verbier, and Ravinia festivals, and the Stuttgart Bach Festival; and performances with the Frankfurt Radio Symphony Orchestra, Vienna Symphony Orchestra, Dresden Philharmonic, Staatskapelle Berlin, Royal Scottish National Orchestra, Czech Philharmonic, New York Philharmonic, Minnesota Orchestra, Atlanta Symphony, Baltimore Symphony, Orchestra of St. Luke's, Kristjan Järvi's Absolute Ensemble, Montreal Symphony Orchestra, Calgary Philharmonic Orchestra, Danish National Symphony Orchestra, and the Tokyo Symphony. Ms. Dinnerstein is interested in exploring ways to subtly change the traditional concert experience, and has created a new program with thereminist Pamelia Kurstin and actor Alvin Epstein that combines classical music and avant-garde cabaret, and weaves together poetry, music, improvisation, and narration. The program debuted at New York’s popular West Village club, Le Poisson Rouge, in November 2012. Committed to bringing music by living composers to today’s audiences, Ms. Dinnerstein frequently performs pieces written for her by Philip Lasser and Daniel Felsenfeld. In addition to performing the new work written for her by Nico Muhly this season, Ms. Dinnerstein will be premiering a piano quintet by Grammy-nominated composer Jefferson Friedman in 2014. Ms. Dinnerstein has played concerts throughout the United States for the Piatigorsky Foundation, an organization dedicated to bringing classical music to non-traditional venues. Notably, she gave the first classical music performance in the Louisiana state prison system when she played at the Avoyelles Correctional Center. She also performed at the Maryland Correctional Institution for Women, in a concert organized by the Baltimore Symphony Orchestra to coincide with her BSO debut. Dedicated to her community, in 2009 Ms. Dinnerstein founded Neighborhood Classics, a concert series open to the public hosted by New York City public schools. The series features musicians Ms. Dinnerstein has met throughout her career, and raises funds for the schools. The musicians performing donate their time and talent to the program. Neighborhood Classics began at PS 321, the Brooklyn public elementary school that her son attended and where her husband teaches fourth grade. Artists who have performed on the series include Richard Stoltzman, Maya Beiser, Pablo Ziegler, Paul O’Dette and many more. In addition, Ms. Dinnerstein has staged two all-school happenings at PS 321 – a Bach Invasion and a Renaissance Revolution – which immersed the school in music, with dozens of musicians performing in all of the school’s classrooms throughout the day. Ms. Dinnerstein is a graduate of The Juilliard School where she was a student of Peter Serkin. She was a winner of the Astral Artist National Auditions, and has received the National Museum of Women in the Arts Award and the Classical Recording Foundation Award. She also studied with Solomon Mikowsky at the Manhattan School of Music and in London with Maria Curcio. Simone Dinnerstein (pronounced See-MOHN-uh DIN-ner-steen) lives in Brooklyn, New York with her husband and son. She is managed by Tanja Dorn at IMG Artists and is a Sony Classical artist. For more information, visit www.simonedinnerstein.com.